Based on Jujharoo Yodhay by Bhai Maninder Singh Baja. When we grew up we have often seen pictures of Shaheed Bhai Satwant Singh Agwaan, Shaheed Bhai Beant Singh Malowan and Shaheed Bhai Kehar Singh Mustafabad. These were the Jujharoo Babbar Sher (Freedom Fighting Mighty Lions) who kept the integrity, pride and Khalsa tradition in our History. History dictates that whoever looked at Amritsar, with an evil eye to destroy it, such as Massa Rangar, Ahmad Shah Abdali, General Dyer and Indira Gandhi, they themselves are destroyed. Shaheed Bhai Satwant Singh was born in 1962 in the house of Sardar Tarlok Singh and Sardarni Pyaar Kaur, in the village Agwaan Kurd, district Gurdaspur. Village Agwaan Kurd is only 3km from the India – Pakistan border. Bhai Sahib had 2 elder brothers, Gurnam Singh and Waryam Singh, and a younger brother and sister, Swaran Singh and Ranjit Kaur. Bhai Sahib was educated to a higher secondary level at Dera Baba Nanak School. In 1981, Bhai Satwant Singh moved from Burail jail in Uttar Pradesh to a new posting with the Delhi Armed Police. He was a very handsome young man, and an excellent sharp shooter. As a result he was later posted to the personal protection force of the Prime Minister. From the period of 1981 to 1984, he was the personal bodyguard of Indira Gandhi. 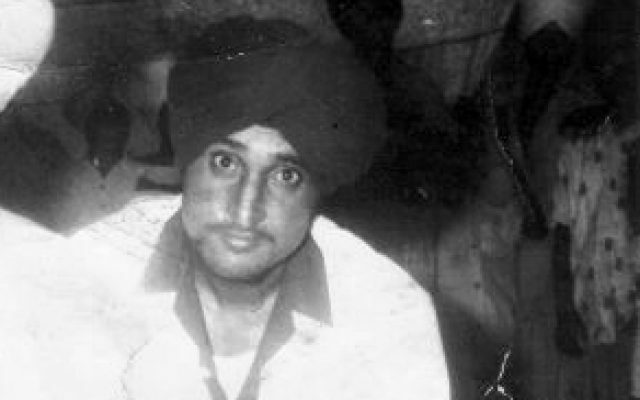 In 1983, Sarabjit Kaur, the wife of his elder brother Waryam Singh, asked her Massi (maternal aunt) for the hand in marriage of her daughter, Surinder Kaur, for Satwant Singh. Soon both of them were engaged. Both families had scheduled the wedding in 1984, but due to the fact that Satwant Singh could not get holidays, it was delayed. In June 1984, the Sikh Nation witnessed the power-drunk Brahmin Indira Gandhi send the Indian Army, on the sacred day of the Shaheedi-purb of Sahib Sri Guru Arjan Dev Ji, to attack Sri Darbar Sahib, Sri Akal Takht Sahib, and 40 more historical Gurdwaras. They used many battalions of Army and tanks, and attacked the thousands of innocent pilgrims who came to pay respects of the Shaheedi of Guru Ji, and many, many Sikh Sangat, Singhs, Singhnian, children and elders became Shaheed. Sri Akal Thakht Sahib was desecrated by tanks. This army action by Indira Gandhi burned in the heart of every Sikh. It was like a great challenge had been placed before the Sikh Nation. The Sikh Nation was extremely angry at the action. As well as the genocide, Sri Harmandar Sahib had been dishonoured, Sri Akal Thakht Sahib had been desecrated. The times of Massa Rangar had returned, and the Sikh Nation required a Bhai Sukha Singh and Bhai Mehtab Singh. After seeing the state of Sri Darbar Sahib, both Satwant Singh and Beant Singh returned to Delhi back to their duty. On 24th October 1984, Beant Singh and Satwant Singh took Amrit at a Gurdwara in Delhi. Neither were particularly knowledgeable on Gurbani, but Operation Blue Star and the legend of Sukha Singh and Mehtab Singh were foremost in their mind. This is what led them to take the blessing of Amrit. Satwant Singh always had the late shift, and Beant Singh always had the early shift. They had to work out a way to both be on duty together. On 31st October, Satwant Singh faked a stomach bug, and swapped duties with another guard. Now they had to decide how to do the task. They decided the best time was when Indira Gandhi was doing her walkabout. On the morning of 31st October, 1984 at 9am as Indira Gandhi walked from her house to her office at Safardajung Road. Bhai Beant Singh shot her 5 times with his service revolver. Bhai Satwant Singh at the same time lifted his Thompson Staingun and shot 28 bullets. Seeing Indira Gandhi fall, all of her PA’s and ministers ran for their lives. The Indo-Tibetian Border Police commandos, who also guarded the grounds would not come close. Both Singhs shouted “Bole So Nihal, Sat Sri Akaal!!”. The Singhs shouted, “We have done what we needed to, now you can do what you have to.” Then both placed their weapons on the floor. Only then did the other guards come and arrest them. Both Singhs were taken to a room, while they waited for a senior officer to interrogate them. While waiting the commandos started swearing at the Singhs. Not tolerating this, Bhai Satwant Singh slapped the commando, and a struggle ensued, in which Satwant singh grabbed the commandos handgun. The other commandos started shooting at the Singhs. Bhai Beant Singh died there from gunshot wounds. Bhai Satwant Singh was seriously injured. The Government did not accept this, and took two innocent Sikhs, Kehar Singh and Balbir Singh and framed them with the assassination case aswell. They were jailed. Bhai Satwant Singh was kept in Tihar jail in Delhi. His family and his fiancé, Bibi Surinder Kaur were only allowed to meet him 3 times. The bullet near his spine was still causing him great pain. The authorities would not allow doctors to see him. So one day he used his own finger nail to cut his skin and remove the bullet. After the bullet was removed, he regained his health and was in a state of Chardi Kala! Akal Takhat Jathedar Jasvir Singh Rode said to both fathers of Satwant Singh and Bibi Surinder Kaur, that due to the strength of will of Bibi Surinder Kaur, we should allow her to marry the photo of Satwant Singh, in the presence of Sri Guru Granth Sahib Ji. According to the hukam of Singh Sahib, on 2nd May 1988, Satwant Singhs father, Bapu Tarlok Singh, his mother, elder brother and wife, left their house with a picture of Satwant Singh for the house of Sardar Virsa Singh. In the presence of Sahib Sri Guru Granth Sahib ji, Bibi Surinder Kaur married the photo of Satwant Singh. In the afternoon, the Doli of Bibi Surinder Kaur left the residence of Sardar Virsa Singh for the house of Bhai Satwant Singh. His lawyer, Sardar Bhupinder Singh Sodhi was the last to meet Satwant Singh in Tihar jail. Sodhi said, “Beloved Satwant, I am so sorry I was unable to save you from the death sentence. Now this is the last time we will ever meet.” The lawyer said as he became emotional. On 6th January 1989, it was raining. Nature was giving Bhai Satwant Singh and Bhai Kehar Singh a blessing, like one gives a garland around a neck. The thoughts of the whole Sikh Nation were with Bhai Satwant Singh and Bhai Kehar Singh. They had taken this most important task, and with it all this heartache had come on them and their families. Both were in Chardi Kala as they walked towards the noose. It was like the blessings of the whole Sikh Nation were with them as they walked. In the end, on 6th January 1989, early at 4am, the authorities walked them towards the noose, their voices could be heard from outside the jail, shouting, “Bole So Nihal ! Sat Sri Akaal !” Then a few moments silence…………… As both of them stepped forward and kissed the hangmans noose, a very heavy rainfall started………. Just as the British had done with Bhagat Singh, Sukhdev and Rajguru. Their bodies were taken to Ferozpur, and cremated on the banks of the Sutluj river. Similarly, the Indian Government did not hand over the bodies of Shaheed Satwant Singh and Shaheed Kehar Singh to their next of kin. Their bodies were cremated within Tihar jail. When the cruel authorities started cremating the bodies, the rain suddenly stopped. Nature was doing its bit to respect the Shaheeds. As the bodies burned, the authorities did not have the heart to hand them back to the families. The lawyer, Sardar Bhupinder Singh Sodhi said to the authorities, I can understand you have hatred for those spirits who killed Indira Gandhi, but how can you even have hatred for their corpses? Then to further insult the Shaheeds, the authorities dreamed up another stunt. The last wish of both Shaheed Satwant Singh and Shaheed Kehar Singh was that their ashes be taken to Sri Kartarpur Sahib. However the Police forced the families of these two Shaheeds into jeeps and vans and drove them to Hardwar. Throughout the whole journey to Hardwar, it rained heavily. Then at gunpoint giving the families no choice, the final ardas for the Shaheeds was done. Just as the Ardaas began, the rain stopped. It was like nature was also paying respect to the Shaheeds. Bhai Satwant Singh’s father, Bapu Tarlok Singh, and the son of Bhai Kehar Singh, Sardar Rajinder Singh, poured the ashes in to the river at Hardwar. The thoughts of the whole Sikh Nation are with Bhai Satwant Singh and Bhai Kehar Singh. The brutal Indian regime may have killed Bhai Satwant Singh and Bhai Kehar Singh, but in the hearts of all Sikhs, they will forever live. They are immortalised in paintings on the walls of Sikh Gurdwaras, and they have recorded their names in the Volumes of Sikh History. They were the modern day Bhai Sukha Singh and Bhai Mehtab Singh. Bibi Surinder kaur passed away a few years ago from cancer. She was widely respected in the Panth for the dedication with which she stayed with Bhai Satwant Singh.